Here you can see and experience the reconstructed remains of the Temple of Mithras. This is a faithful recreation of the ruin that was discovered in 1954 by renowned archaeologist Professor W.F. 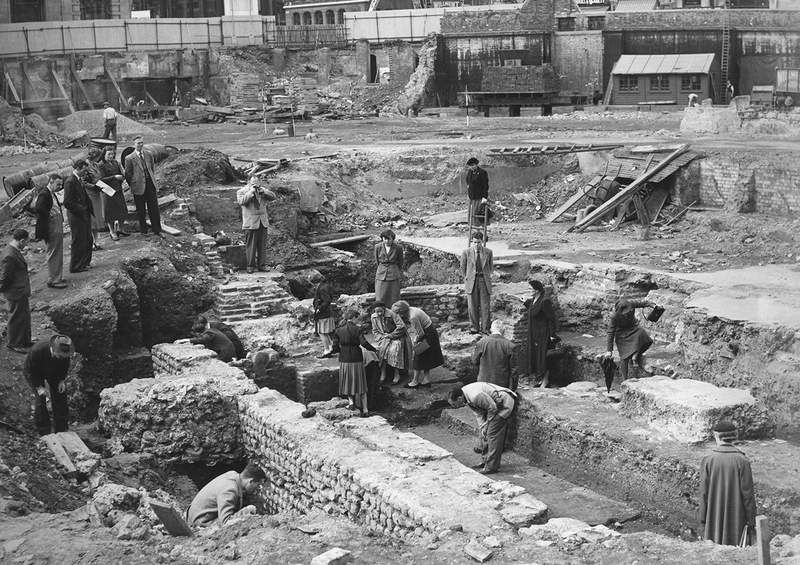 Grimes during the excavations following the Blitz. The temple has been restored to capture the mystery and intrigue of the Roman cult of Mithras, who used to meet on this site. Haze, light and the sound of footsteps, chanting and secret whispers will transport you back to London AD 240. Please note: The temple viewing experience has low light levels and also includes lighting effects, mist and sound.